Stand Alone Download scary Hindi fonts for free. Download scary Hindi fonts for free. Scary and horror fonts are often used in scary movies. 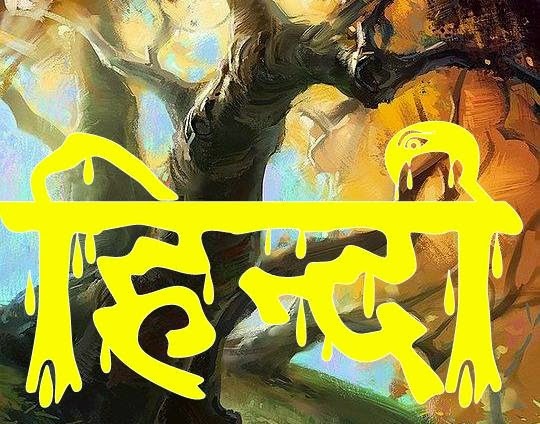 I am collecting some scary fonts in Hindi. Some suspense novels have also such kind of fonts used in their titles. These fonts are perfect for giving a horror or scary look. Can be used for both electronic and print work. I have collected some fonts in this category. There are some more Devanagari font which are still needed to add in this category. Other new fonts will be added soon. Join our mailing list to stay updated with our new fonts. font name : Kruti Dev 410 regular, Font family : Kruti Dev 410, Font style : regular, Download font, Download Keyboard layout.